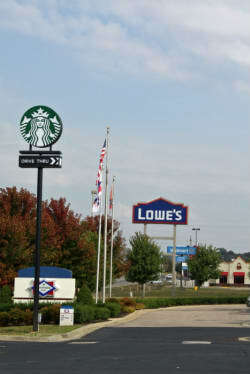 It’s no surprise that so many companies choose to do business in Van Buren. With its prime location, diversity of industries, and quick access to many modes of transportation, corporations know that operating in the region helps boost their bottom lines. Businesses large and small comprise the region’s thriving economy. 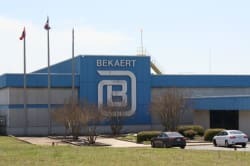 Companies with international presences have operations in Van Buren, as do several nationally-recognized companies. Many family-owned enterprises and small businesses also have deep roots in the town, dating back to Van Buren’s earliest years. For some, ownership has passed down from generation to generation. One of Van Buren’s greatest strengths is the overall diversity of its industries. Cities throughout the region are supported by businesses in the fields of banking, construction, finance, food processing, manufacturing, retail, and transportation. With its rich heritage and scenic beauty, the city also has thriving hospitality and tourism industries. Educational institutions, medical facilities, and government services also provide a wealth of employment opportunities for citizens. 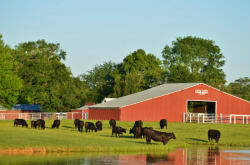 The state's leading industry, agriculture, is also a driving force in Crawford County. Van Buren’s spot on the map is another key to its economic success. The city is conveniently located adjacent to the state’s second-largest city and is only a short commute to the Northwest Arkansas metro, one of the fastest-growing regions in the entire country. Van Buren also sits on the Arkansas/Oklahoma border, making it easy to transport goods quickly across state lines. The Arkansas River has long-played a vital role in the region’s economy. The town began as a port and trade center in the mid-1800s. Today, millions of pounds of freight continue to be shipped on the major water route every year, using the McClellan-Kerr Arkansas River Navigation System. The system supports commercial barge traffic throughout its 445-mile route, allowing manufacturers and distributors to move products across the country and the globe. The railroad industry has also been essential to the town’s development, as evident by the historic train depot in downtown Van Buren. Three class-one railroads, including the BNSF, the KCS, and the UP railways, serve the city and surrounding region, transporting various products throughout the country. The Arkansas & Missouri (A & M) Railroad, a Class III line, also provides short-line freight service for customers along its route. 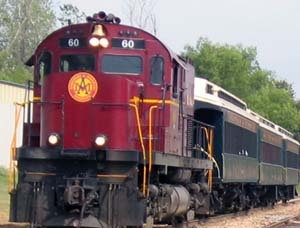 A & M also operates a popular seasonal excursion train. Businesses and residents both benefit greatly from Van Buren’s prime spot along two of the country’s most well-traveled roadways. The city sits at the junction of Interstates 40 and 540. I-40 is the third-largest interstate in the U.S., stretching a total of 2,500 miles. The thoroughfare connects the east and west coasts, with Van Buren located near the very center. 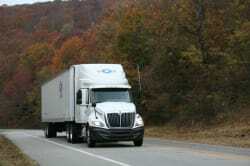 I-49 is another link, giving travelers and cargo-haulers a direct route to Northwest Arkansas and beyond.